Enjoy fruity flavors in two layers of deliciousness! 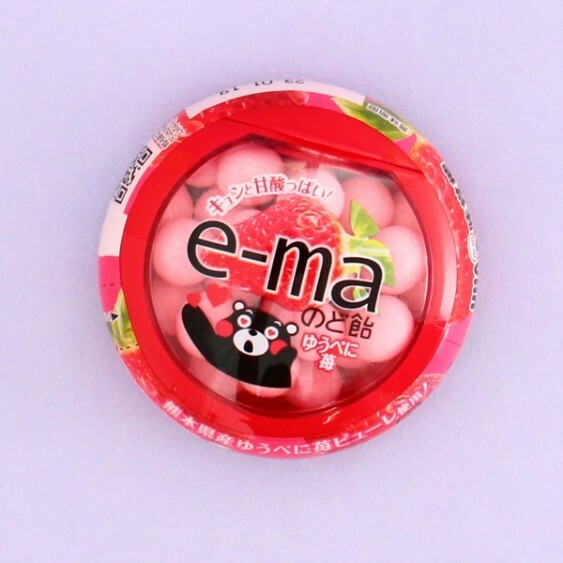 These E-ma throat candies by UHA have a hard layer of xylitol that is rich with vitamin C on top and a soft and fruity center. You can either chew or let these candies to melt in your mouth to reach the yummy center and the xylitol will leave your mouth to feel fresh. 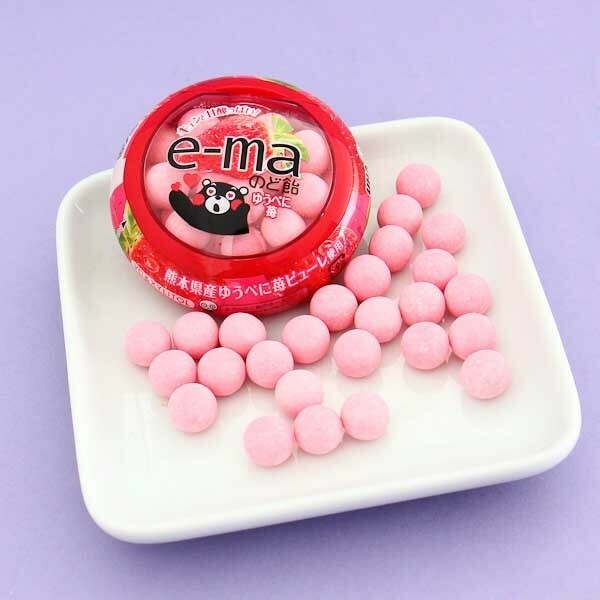 This version of yummy throat candies has the flavor of Yubeni - a new strawberry variety from Kumamoto Prefecture in Japan. You can find the prefectures own adorable mascot Kumamon bear smiling on the package! The container can be closed, so the candies are easy to be kept with you and enjoyed when convenient. So sweet!